Anti-graffiti window film offers business and property owners a highly efficient and effective form of protection from all forms of graffiti and even routine damage. 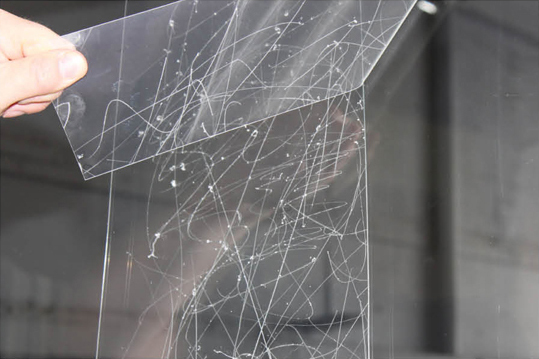 Things like scratches, acid-etching and of course, what you picture when we mention graffiti, spray paint and marked up walls across store-fronts, buildings, walls, tunnels, and a variety of public places. Frequently, if graffiti isn’t removed quickly, it attracts more taggers to add to the existing graffiti and will make the buildings around it targets for additional tagging and damage making it bad for business. It lowers property values, drives away potential customers, and is a frankly an eyesore. Protect your business with guards like a graffiti protective film. In 2015, the removal of graffiti cost the city of Seattle $1 million, and Los Angeles scrubs away 30 million square feet of graffiti every year which costs them about $7 million annually. 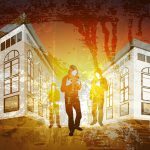 In Portland, vandalism in the form of tagging and graffiti costs the city between $300,000 and $400,000 every year. All of these estimates are just for public property that the city maintains, it doesn’t account for private property that business owners are solely responsible for the costs of repairs or restoration. Vandalism damage costs business and property owners around $12 billion annually – so protecting yourself from potential vandalism through preventative measures like anti-graffiti window film is both good for business visually and economically. 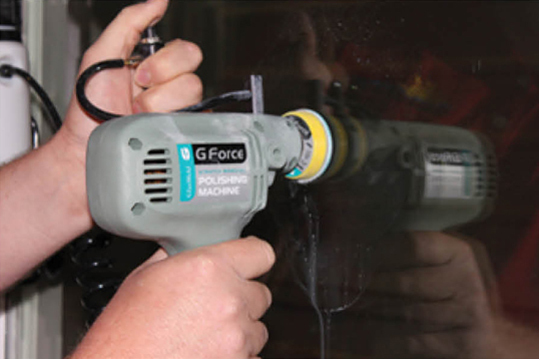 Graffiti Guard is a protective layer of durable, clear film that can be applied to interior and exterior windows, mirrors, glass surfaces or cases, and non-porous surfaces like marble or stainless steel. Graffiti Guard is completely removable, so if regular wear and tear like scratches and dings become increasingly noticeable or difficult to buff out, you can remove the film and your glass looks good as new. This of course also applies to any intentional damage like graffiti. If the outside of your business windows have been vandalized, you can simply remove the anti-graffiti film and the graffiti, saving you time, money, and experimenting with different cleaning solutions in an attempt to get the the paint or marker off of your building. Rather than having to pay to replace an entire window, you can simply replace the anti-graffiti window film at a reasonable price. Graffiti Guard saves you both time and money, so you don’t lose business due to closure for repairs. Pacific Window Tinting has applied anti-graffiti film across the Portland Metro area to protect university properties, bus shelters, and retail stores. We’ve been serving the Pacific Northwest since 1998, and are personally invested in protecting your Portland business as well as the City of Portland time and money in anti-graffiti window film. Pacific Window Tint can assist you in choosing the right tint for your business. Contact us today to get a free estimate, and find out more about Graffiti Guard and how it can protect you.